If you picked up this book thinking that thanks to it, you’re going to turn yourself into the best father in the world, you better think again. The fact is, when it comes to childrearing, no matter what the gurus say, there are no foolproof tricks or magic formulas. 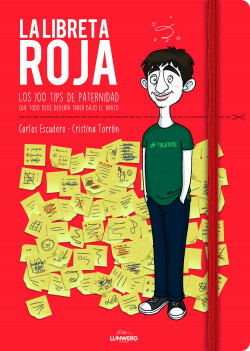 And the most important thing: The Red Notebook will teach you how to navigate the terrain of paternity without losing sight of the child you were, and how to do it with a smile. Because, when you have a bad day as a father, humor – and not any guru – is the only thing that can save you.